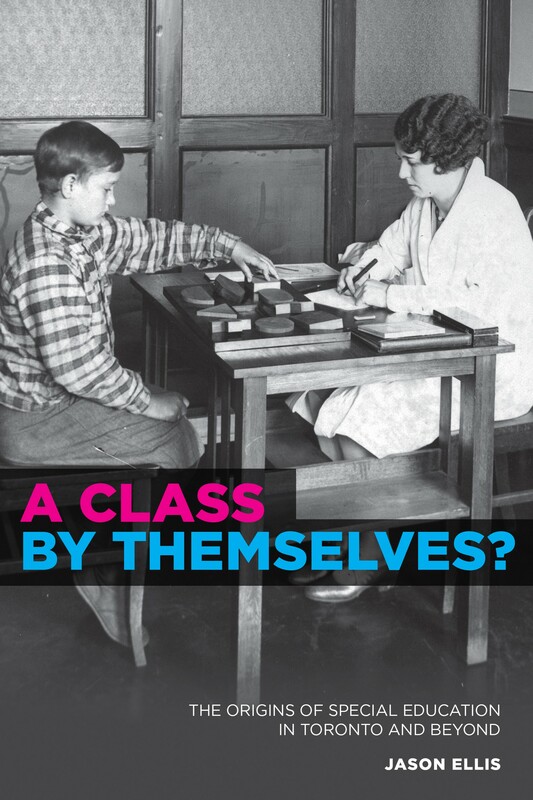 In A Class by Themselves?, Jason Ellis provides an erudite and balanced history of special needs education, an early twentieth century educational innovation that continues to polarize school communities across Canada, the United States, and beyond. Ellis situates the evolution of this educational innovation in its proper historical context to explore the rise of intelligence testing, the decline of child labour and rise of vocational guidance, emerging trends in mental hygiene and child psychology, and the implementation of a new progressive curriculum. At the core of this study are the students. This book is the first to draw deeply on rich archival sources, including 1000 pupil records of young people with learning difficulties, who attended public schools between 1918 and 1945. Ellis uses these records to retell individual stories that illuminate how disability filtered down through the school system’s many nooks and crannies to mark disabled students as different from (and often inferior to) other school children. A Class by Themselves? sheds new light on these and other issues by bringing special education’s curious past to bear on its constantly contested present.